Did you like one of the turntables below but it’s already marked “SOLD”? I take custom orders for TD-160 Supers, VN-150s. VN-150LBs, and TD-125s. We can customize many of the features to suit your style and price range. Turnaround is typically 6-8 weeks. Email me for details or visit my Etsy shop where it’s possible to choose among various wood finishes and tonearms. Payment: Major Credit Cards (thru Paypal), Checks, and Money Orders. I also accept nonrefundable deposits, with full payment due within 30 days. Deposit amount is negotiable. Note: Did you like one of the turntables above but it’s already marked “SOLD”? I take custom orders for TD-160 Supers, VN-150s, VN-150LB and TD-125s. We can customize many of the features to suit your style and price range. Turnaround is typically 6-8 weeks. Email me for details or visit my Etsy shop where it’s possible to choose among various wood finishes and tonearms. Payment: Major Credit Cards (thru Paypal), Checks, and Money Orders. I also accept nonrefundable deposits, with full payment due within 30 days. Deposit amount is negotiable. Having trouble deciding between models? Need more information before choosing? 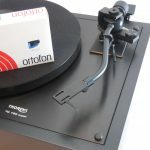 You can purchase a “Turntable Consult” from the left menu, and if you end up purchasing a turntable from Vinyl Nirvana, the complete cost of the consult is refunded. 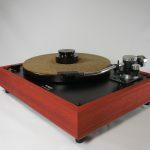 See my Testimonial Page for what previous buyers have said about their Vinyl Nirvana experience. If you want to take the risk buying on eBay from someone inexperienced packing turntables, check out my Turntable Packing Wall of Shame. Vinyl Nirvana eBay sales I also buy whole and parts AR, Linn, and Thorens units, as well as decent tonearms of any vintage or brand. 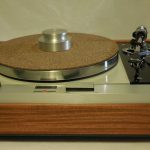 I will give you credit on your old turntable toward one of my restored models. 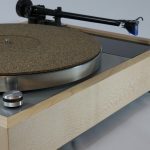 For every turntable sold with a Custom Wood Plinth, a donation is made to Trees for the Future.